The staffs are super helpful and providing best solution to our needs. Location is the best too. Great location, very clean, soft towels and nice size room. The room was very clean! The kitchen was adequately equipped. The staff was very helpful. This was the nicest place we stayed during our trip to Iceland. The staff was extremely great and friendly. 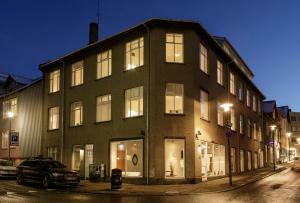 Helped us with all our Iceland queries and was accommodating from the time we got to the apartment! Overall super happy! Our apartment was spacious, and the location was perfect. There was so much nearby to eat, shop and see. The staff was excellent, very communicative and accommodating. If I could score this higher I would! Excellent location, spacious apartment for the 5 of us to stretch out, and looking out the skylight at night is the way to fall asleep. Two bathrooms and great kitchen space is a great bonus! Marco and Michael responded promptly to questions via email before our arrival and they were very kind and courteous upon check-in. We arrived later than expected and returned after checkout to use the restroom before going to the airport, all without issue. The apartment was very clean and had nice views. Location was perfect. We parked our car outside and didn't have to move it til we were leaving a couple days later. Everything we wanted was within walking distance. Very spacious and private. Loved it! Great staff, great location and very comfortable. We liked everything and will be returning. 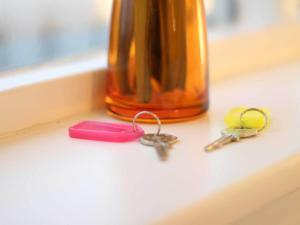 Lock in a great price for Rey Apartments – rated 9.2 by recent guests! One of our top picks in Reykjavík.This central Reykjavik property is between Laugavegur shopping street and the trendy Skolavordustigur district. 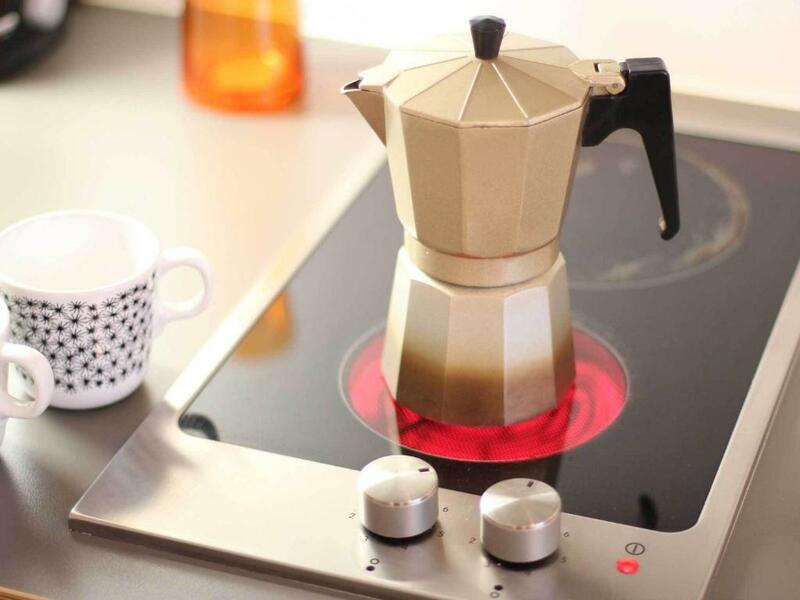 It offers free Wi-Fi and fresh apartments with well-equipped kitchen facilities. A flat-screen TV with satellite channels and a DVD player can be found in each modern living room at Rey Apartments. Some also feature a dishwasher, while all include a separate dining area. Wood floors and stylish furnishings decorate all apartments at Rey. Each has an up-to-date bathroom with shower. The departure terminal for whale watching tours and Reykjavik Art Museum are both less than one mile away. Keflavik International Airport is a 40 minute drive away, while the geo-thermally heated Sundhöllin Swimming Pool is a 10 minute walk away. 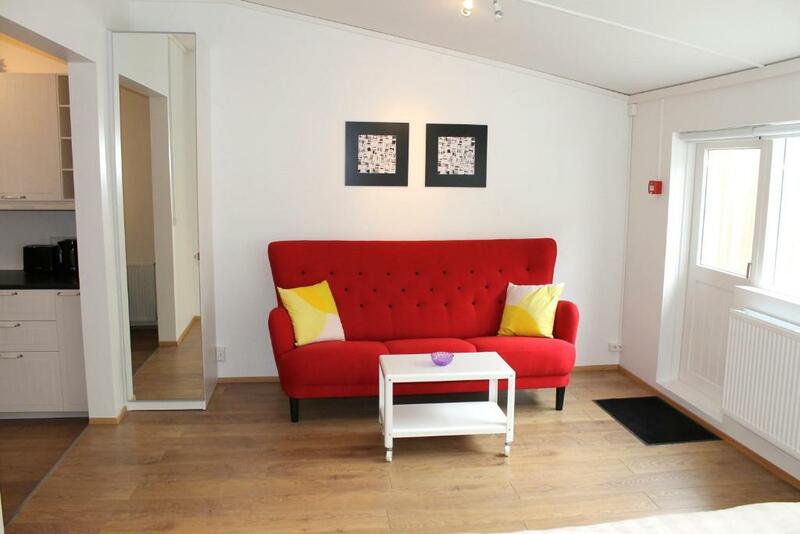 뀐 Located in the real heart of Reykjavík, this property has an excellent location score of 9.6! When would you like to stay at Rey Apartments? Compact studio that includes a kitchenette with stove, a fridge, microwave and tea/coffee maker. Also has a dining area and sitting area with flat-screen TV and DVD player. Studio that includes a kitchenette with stove, a fridge, microwave and tea/coffee maker. Also has a dining area and sitting area with flat-screen TV and DVD player. Modern 1-bedroom apartment that features a kitchen with dining area, fridge, microwave and tea/coffee maker. Includes a living room with a flat-screen TV and DVD player. The single bed can alternatively be set up in the living room. Modern 1-bedroom apartment that features a kitchen with dining area, fridge, microwave and tea/coffee maker. Includes a living room with a flat-screen TV and DVD player. One of the single beds can alternatively be set up in the living room. Spacious, modern 2-bedroom apartment that features a kitchen with dining area, fridge, microwave and dishwasher. Includes a living room with a flat-screen TV and DVD player. Alternatively, one bedroom can have a double bed and one can have 4 singles. Spacious, modern 3-bedroom apartment that features a kitchen with dining area, fridge, microwave and dishwasher. Includes a living room with a flat-screen TV and DVD player. Please note that this room is on the third floor with a narrow final flight of stairs. This apartment features a cable TV, microwave and electric kettle. This studio has a seating area, dining area and electric kettle. Our apartments are clean, stylish and finished to a high standard with modern decor. 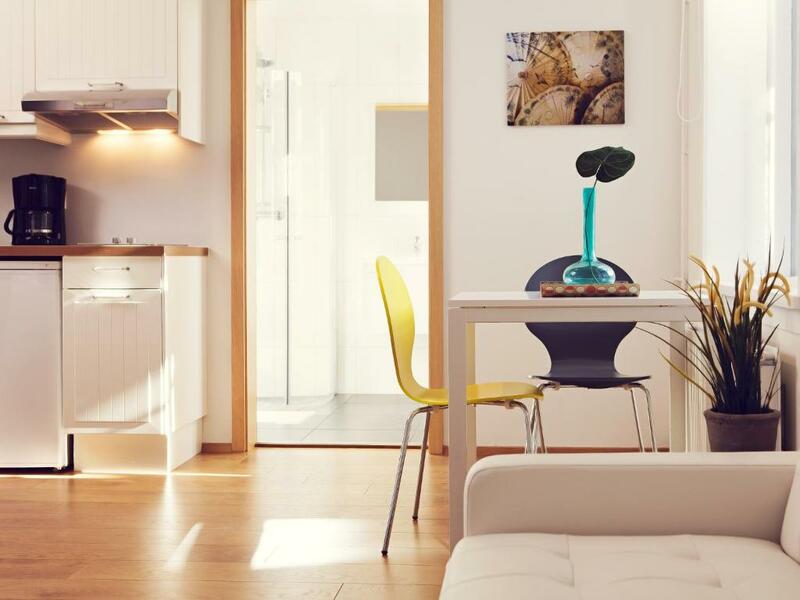 All of our apartments have private, fully equipped kitchens/kitchenettes and private, en-suite bathrooms with showers. 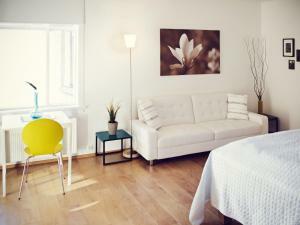 The apartments are all furnished with luxurious beds and have free WiFi internet and free satellite television. 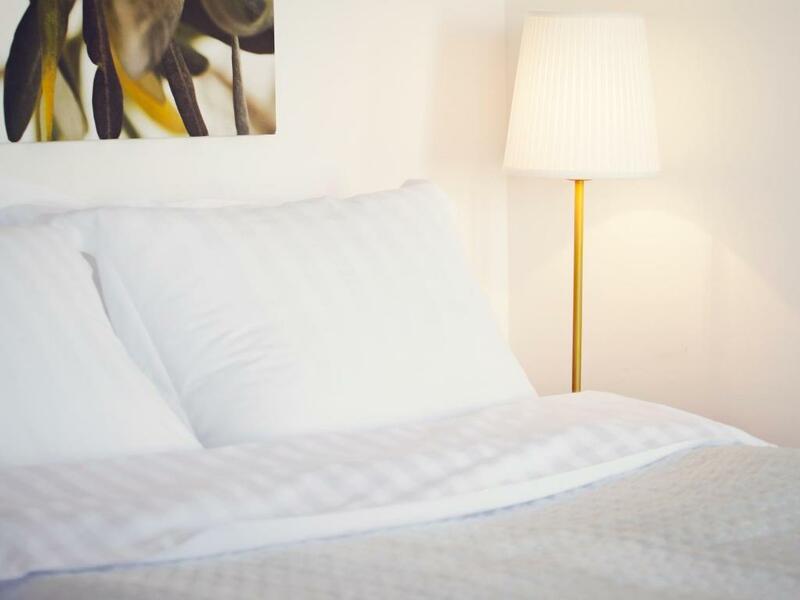 We work hard to provide quality accommodation and service to our guests. 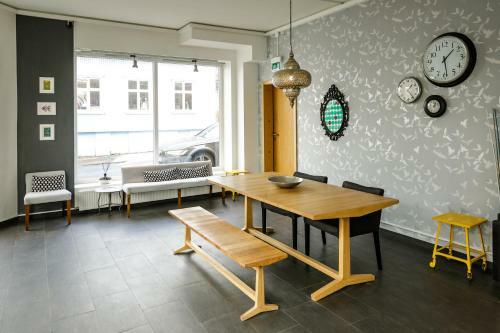 Our mission is to share the best of Reykjavik and Iceland with you, offering quality apartments that are designed in a nordic style. Thank you for staying with us! If you have anything in your mind let us know about it. We are here to serve you! 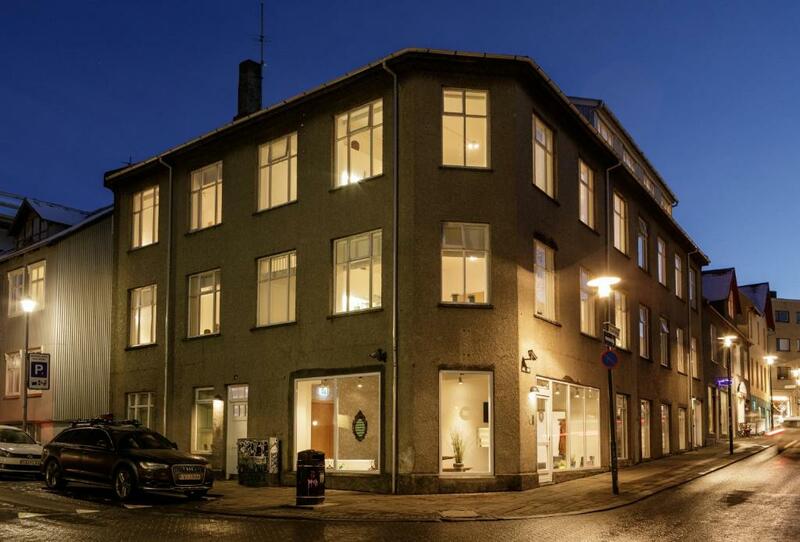 REY Apartments is situated in the old heart of Reykjavik, between the famous main street Laugavegur and trendy Skolavordustigur, on the doorstep of all the best Reykjavik has to offer, countless shops and restaurants, trendy cafés, galleries, bustling nightlife and local culture. House Rules Rey Apartments takes special requests – add in the next step! Rey Apartments accepts these cards and reserves the right to temporarily hold an amount prior to arrival. Please inform Rey Apartments of your expected arrival time in advance. You can use the Special Requests box when booking, or contact the property directly using the contact details in your confirmation. The staff was absolutely amazing. So kind and accommodating. The place was fantastic - great location, beautiful space and well equipped. Wish we stayed here longer! All great except for noise levels in apartments. We were in 3 bedroom apartment in block next door to main block where there was no sound insulation to the street or the flat above. It was extremely noisy (could hear people's conversations) and with three young kids sadly had a fairly negative impact on our stay. Great location. Lovely decor and all clean and newly done. Super clean and wonderfully located! There was nothing we didn’t like. However it would be good to have a thermostat in the apartment as it was a quite warm. Also, would be good to have a drying rack for the dishes. Good communication before we arrived. Check in was easy and friendly. Apartment was great, really clean and comfy. Location is excellent for getting to see the town. 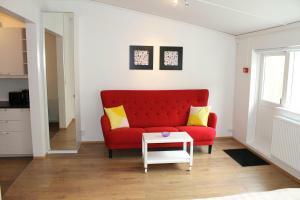 The location is great, the room is spacious and comfortable. our apartment was on the top floor (3rd) but there's no lift. Luggage carrying was a pain. Crazily spacious, comfy, huge living room. Location is 1000%! no ventilation equipment in the bath room.